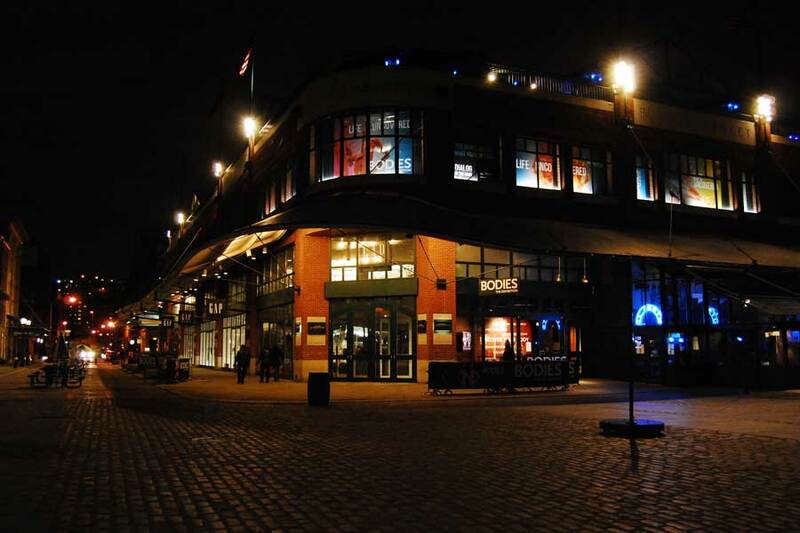 Entrance to BODIES…The Exhibition. Photo by James.Michael. I have wanted to see BODIES…The Exhibition for ages and was thrilled to see that it was open while I was in New York City. I had missed seeing BODIES…The Exhibition while it was nearby in the Midwest and had been asking them on Twitter when it would come my way again. I am a certified massage therapist and to be able to see the body in 3D and to see the muscles laid bare was an incredible opportunity. Studying anatomy and physiology is an introduction to the intricacies of the human body, but to be able to see every piece and part laid exposed takes the education and perception of the body to a different level. For the sake of transparency I have to tell you I was offered tickets to see BODIES…The Exhibition, and I accepted. However, that will not color my opinion or writing about the experience. Please note that unless I am quoting something from the exhibition or stating a fact, all of the opinions expressed in this blog are purely my own. Photo courtesy of BODIES…The Exhibition. 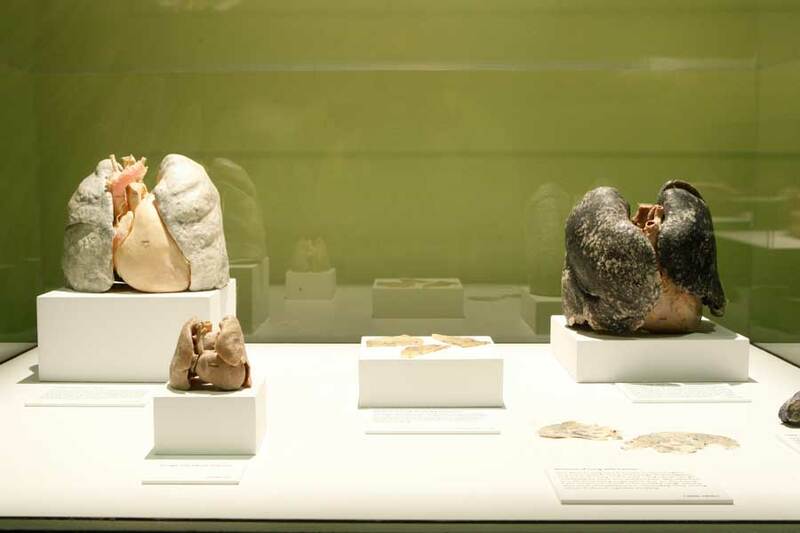 The New York BODIES…The Exhibition offers an intimate view into the systems of the body, including: the skeletal, muscular, nervous, respiratory, digestive, urinary, circulatory, and reproductive systems, fetal development, and the treated body. Before you attend there are a few things you should know. There are no cell phones or cameras allowed inside BODIES…The Exhibition but they do have a free coat check for your coats and bags. I really loved this feature because it was rather warm in the Exhibition and ridding myself of my coat and bag allowed me to leisurely stroll through it at my own pace and enjoy it. Also when I was there (2/16/11) there was a Foursquare check in and bonus offer. Through March 31, 2011 you can order tickets online and save $6 by using the code NYCBODIES. At the beginning of BODIES…The Exhibition, the intro read “Life Uncovered: A journey of self discovery whereby you gaze and marvel at real human bodies to discover what you are on the inside.” When I told people I was going to visit BODIES…The Exhibition I received equal reactions of fascination and horror. Seeing the bodies is not as gruesome as one might believe and the polymer preservation keeps the specimens in pristine condition. It’s truly a marvel how they were able to preserve the bodies in such a way. 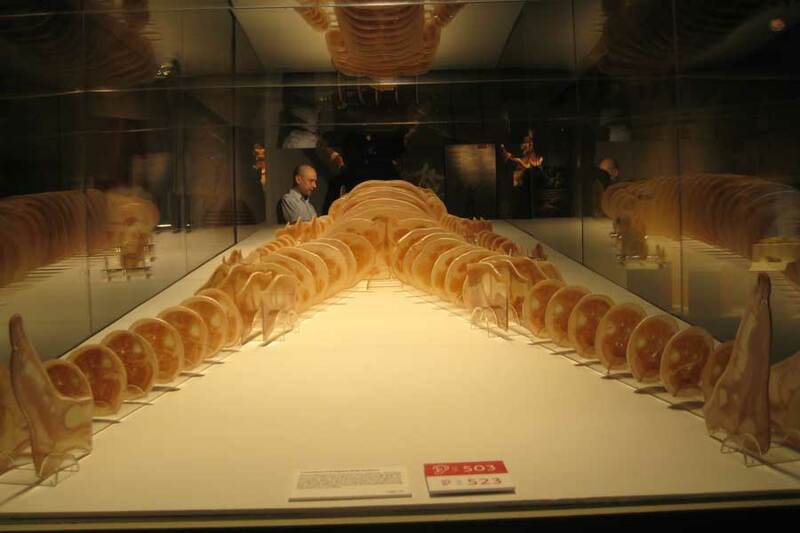 One of my favorite displays from BODIES…The Exhibition was the transverse sliced specimen gallery. Transverse sections of the human body. Photo courtesy of BODIES…The Exhibition. Not only can you see what a normal organ should look like but there are many common diseases on display to observe such as lung cancer, peptic ulcer, ulcerative colitis, liver cirrhosis, and kidney stones. I hear that many people give up smoking after seeing the effects of smoking on the lungs. There is a bin right by the display where people can throw away their cigarettes. Normal lungs versus smokers lungs. Photo courtesy of BODIES… The Exhibition. I had never truly realized how many blood vessels are in our bodies are until I saw BODIES…The Exhibition. One of my favorite parts was seeing the circulatory and respiratory galleries. The bronchial trees and pulmonary arteries are downright beautiful. I want to sketch them and create beautiful pieces of art from them. The systems remind me of the intricate networks of roots that trees and plants have. Circulatory system gallery. Photo courtesy of BODIES…The Exhibition. Did you know that our nerve cells create electrical impulses that reach speeds exceeding 270 miles per hour? I didn’t. Our bodies are such amazing, intricate houses for our souls. We are so delicate, intricate, and elaborate. What we put in our bodies for fuel or for recreation truly has a system-wide impact. I hope that everyone goes and sees BODIES…The Exhibition at some point in their lives so that they can truly understand their bodies and understand the impact of living a healthy lifestyle versus an unhealthy one. 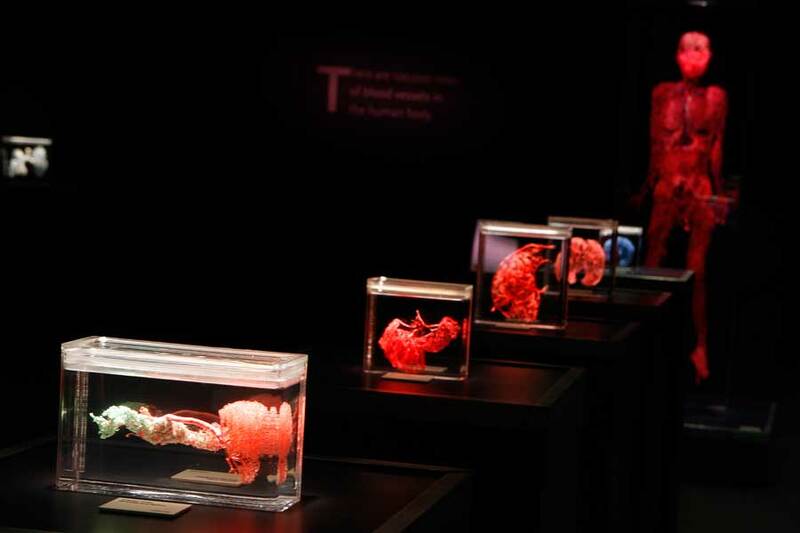 My absolute favorite part of BODIES…The Exhibition was the fetal gallery. There are actual fetuses on display at various stages in their development so there is a sign asking you to please consider whether you want to go into the fetal gallery before entering. I highly recommend entering and seeing this portion. It is incredible how fast the human fetus develops and the detail that is apparent in its form from a very early stage in its development. In the gallery it says, “The heart begins to beat during the fifth week of development.” I sincerely hope that everyone who has a view on abortion, on which we all should have a view, sees the Exhibition and decides for themselves what they think is right. Let’s focus on science and not religion in forming our laws and points of views. A fetus is very small to begin with and would not survive without a host. I feel very honored to have been able to see this exhibition and am grateful to all the souls who donated their bodies for the sake of science and for the education of others. At the end of BODIES…The Exhibition they have computers and machines that perform a variety of health tests. My friend and I both checked our weight, body fat percentage, body mass index, blood pressure, and blood oxygen levels. It was fun and informative. Make sure you don’t miss that fun little feature. I would advise allowing at least an hour to see the Exhibition, but highly recommend spending more like two to three hours there. I have a friend who spent six hours at BODIES. There is so much to read, see, and observe that having the time to do so is imperative. To purchase discounted tickets to NYC attractions please visit the NYC Ticket Machine. 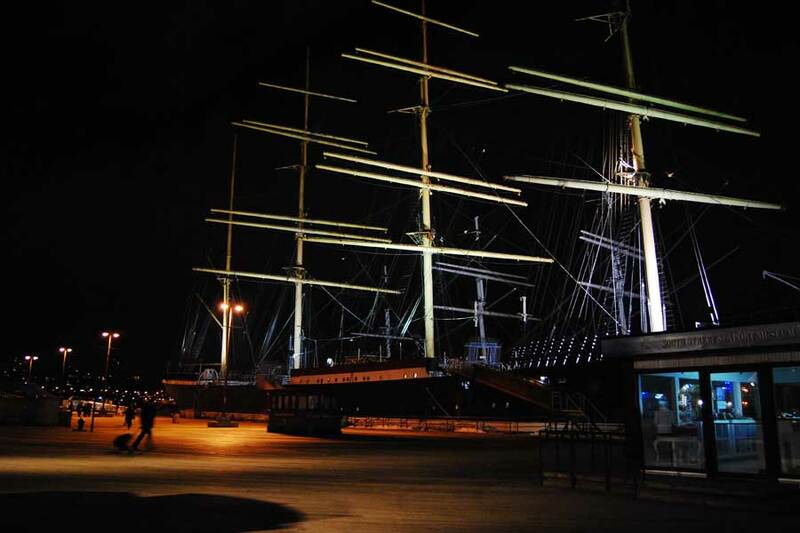 BODIES… The Exhibition is located right near Pier 17 by the South Street Seaport. There are lots of little shops and restaurants there and it’s a nice place to take a stroll along the water. 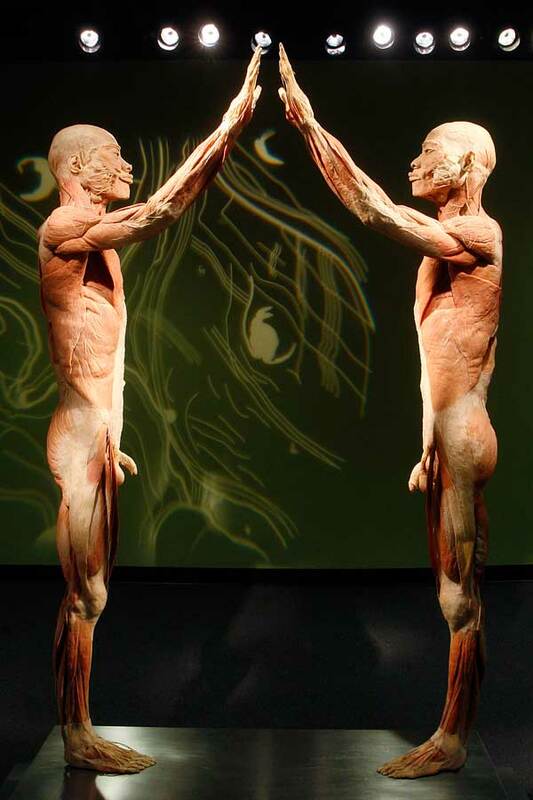 Categories: Travel Diary | Tags: bodies coupon, bodies discount code, bodies exhibit, Bodies: the exhibition, body systems, Dr. Robert Glover, new york city, NYC, nyc coupons, nyc sight seeing, pier 17, polymer preservation, premier exhibitions, south street seaport | Permalink.